END OF HIGH SEASON PROMOTION. 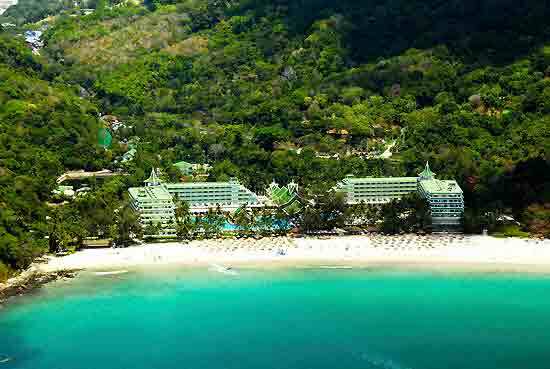 VIP FAMILY BEACH RESORT GOLF PACKAGE 6 days/5 nights. 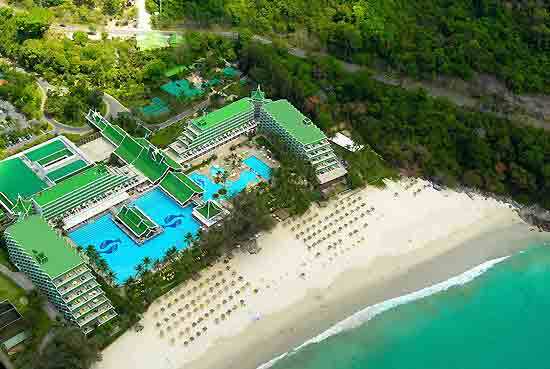 LE MERIDIEN PHUKET BEACH RESORT is situated on the beach of a secluded cove on Phukets south west coast. 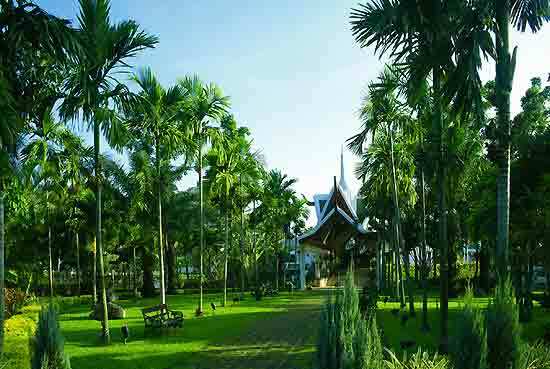 The resort contains 470 rooms and suites that blend into the lush tropical landscape. Hotel features include: complimentary in room WiFi, 10 restaurants and bars, 2 oversize swimming pools, Le Spa, land and sea facilities and an onsite discovery centre for kids. 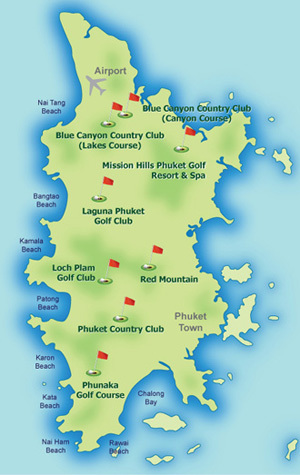 Click here for more information about this Phuket Golf Package. A caddy at both golf courses. 	Family Booking 2 Rooms - 2nd Room for 2 children receive additional discount. 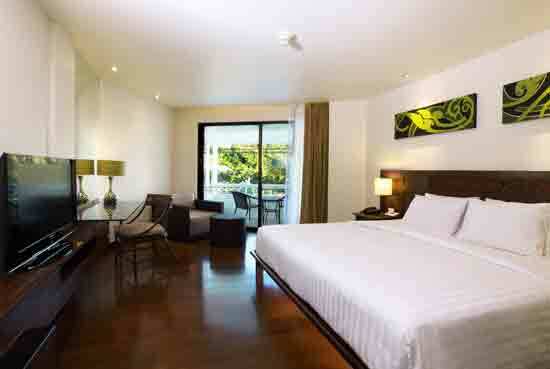 	Deluxe Room: up to 2 kids stay free (under 12 years old) when share one room with 2 adults. Only one extra bed or one baby cot can be set up. 	Daily return complimentary shuttle service to Trick Eye Museum (free entry with Le Meridien key card) in Phuket Town – advanced booking required. For children under 12 yrs: One child will sleep on rollaway bed and second child will share existing bed with parents. 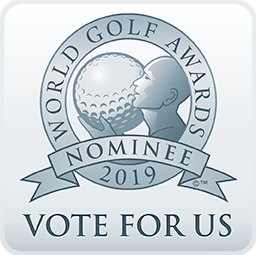 Day 2 – Golf at Loch Palm Golf Club. 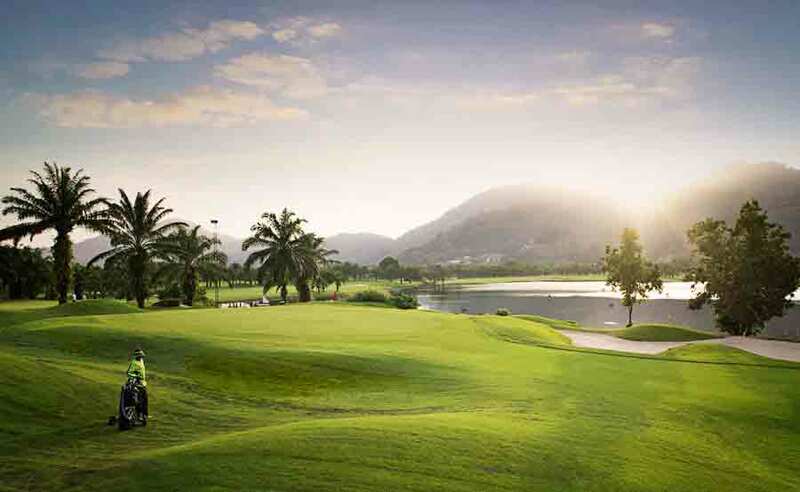 Get picked up from your hotel by our taxi for 18-holes of golf at Loch Palm Golf Club in Kathu. 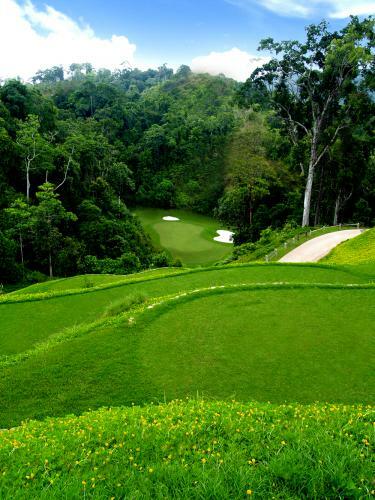 Our taxi will whisk you off to play 18-holes of golf at Red Mountain Golf Club, which is known as one of the best championship courses in Thailand. Our taxi transfer will take you from your hotel to Phuket International Airport in time for your flight home.